Most Mazdas tend to be among the best corner-carvers in their classes, but they don’t necessarily cradle drivers in swaths of comfort. Mazda must know this because, according to Autocar, they’re adding fancy new tech to keep drivers feeling fresh even after long, winding road trips. Recently, Mazda showed off its new G-Vectoring Control system, a technology that basically alters engine torque output to help drivers navigate turns without having to make tons of tiny steering corrections. The end effect is reduced driver steering input, reduced lateral acceleration, and ultimately, reduced driver fatigue. We don’t know much about how the new GVC system works, but we contacted Mazda and they basically just told us the system “cuts torque to shift more load to the front tires.” So unlike brake-based or diff-based torque vectoring systems, this system seems to simply pull engine torque. Whether that’s simply a matter of limiting acceleration to reduce squat and keep weight over the front tires, or pulling torque to counteract torque steer, I’m not sure. But I’ll learn more in a few weeks when I fly out to California and get to see the tech in action. 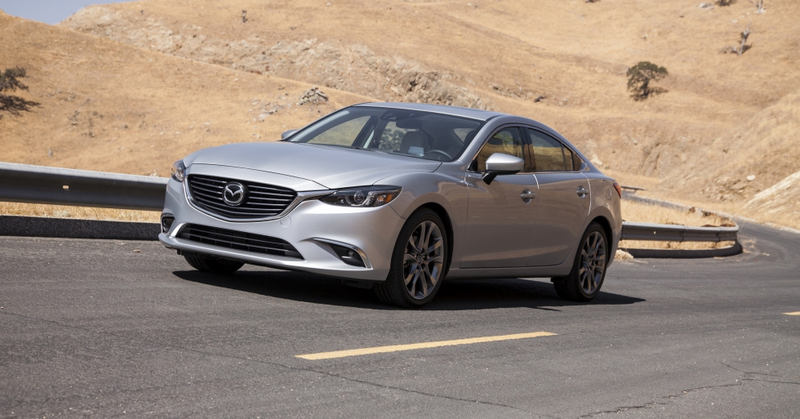 I’m rather excited to learn more, because the video above definitely makes it seem like G-Vectoring Control makes quite a difference, even though it is only able to reduce engine torque by 22 lb-ft.
Future Mazda vehicles will not only get the GVC set-up, but also new, generously-proportioned front seats that are designed to more firmly hold the passengers and reduce pressure points on the occupant’s body. It’s basic human nature to want to minimise physical effort and maintain balance...Humans sense roll and pitch vehicle movement through their eyes and G-forces through the body. The older Mazda seats did not locate the occupant firmly against the bolsters, so the occupant could experience sudden movement before coming into sudden contact with the bolster. We cannot optimise our vehicles for what is a small customer base [which wants sportier chassis tuning]. A more relaxed driving experience frees the driver’s mind, and will make the drive more fun. I’m not sure what to make of that quote. All I know is: what makes a Mazda a Mazda is the fact that it’s nimble and fun to drive. So long as they keep that trait, I’m all for increased driver comfort. We’ll see what I think in two weeks.